A common misconception is that “salaried” employees are not entitled to overtime compensation (time and a half) when the employee works more than 40 hours in a workweek. While it is true that many salaried employees are legally denied overtime pay because they fit into one of the so-called “white collar exemptions” (executive, administrative, professional, outside sales, and computer professional), the fact that an employee is paid a salary is just one of several factors that must be present for the exempt to properly apply. Contrary to common belief, the general rule is that all employees—including those paid a salary—are owed overtime. The exemptions are considered narrow exceptions to the general rule and employers frequently shirk their overtime responsibilities by misclassifying employees as “exempt” when they should be paid overtime. Certain Auditors and Accountants are misclassified under the FLSA. Financial services are a complex and increasing part of our modern economy. Some financial service workers can properly be considered exempt under the FLSA. However, a large number cannot. For example, a CPA is a licensed professional who has a specialized education, therefore CPAs generally fit within the professional exemption. 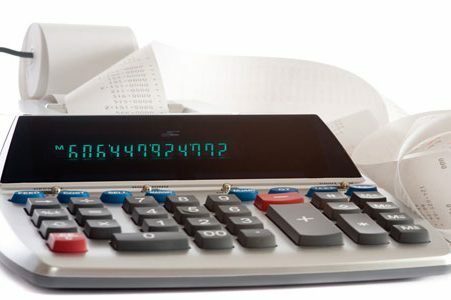 On the other hand, certain staff accountants, auditors, data entry workers, and other accounting clerks do not have discretion in the work that they perform (as would be required by the administrative exemption), nor does their work require the specialized education contemplated by the professional exemption. Therefore, even though these accountants and financial service workers have “white collar” jobs, they cannot be properly called an exempt employee and they must be paid overtime when they work more than 40 hours in a week (e.g., during tax season). The Fair Labor Standards Act (FLSA) is the federal law governing when overtime pay is required of US employers. The US Deptartment of Labor (DOL) is the administrative agency tasked with writing the regulations for the FLSA and helping to enforce the FLSA’s requirements and has issued regulations that define the white collar exemptions. The determination of whether an exemption is proper should be made on a case-by-case basis. Each of the exemptions has its own set of tests and sometimes an employee may even be potentially impacted by more than one exemption. There are generally two issues to be analyzed in a misclassification case: (1) what job functions was the employee actually doing; and (2) how was the employee paid. The employee must fit squarely into a defined exemption, or that employee is entitled to overtime pay. Job titles are irrelevant to the FLSA analysis. If you believe that you may be misclassfied under the FLSA, contact the wage and hour lawyers at Lear Werts LLP for a no-cost converation about whether you may be entitled to overtime. The DOL has issued a number of Fact Sheets about these classification challenges. In particular, there is a Fact Sheet specifically for financial services workers and three others that more generally discuss the exemptions that may apply to accountants and auditors. How Much Money Can Be Recovered? In misclassification cases, recovery can vary greatly depending on how much the employee was paid and how many hours that the employee worked. Bonuses and other compensation can also impact how much money the employer should have been paying a misclassified worker when the worker worked more than 40 hours in a week. Under the FLSA, an employee can recover unpaid overtime for either a two-year or three-year period (depending on whether the employer’s violation of the law was willful). The employee is also entitled to liquidated damages from the employer in an amount equal to the amount of overtime that was unpaid (unless the employer can show a good faith reason for the violation). Additionally, most states have their own laws that supplement the FLSA – some of which provide for more expansive recovery. What if I Haven’t Tracked My Hours? Salaried employees are often not required to track their hours. So a common question asked by salaried employees who are owed overtime is “How do I prove how many hours a week I worked?” The courts have recognized this conundrum and have ruled that, since it is the employer’s duty to track the amount of hours worked by its employees who are owed overtime, if the employer has improperly classified its employees—and therefore did not have them track their time—then the court will accept the employee’s reasonable estimate of the amount of overtime he/she worked. For this reason, the fact that a salaried employee does not have time logs or other evidence of her hours is not a hinderance to recovering her unpaid overtime. Can my employer fire me for bringing an FLSA claim? The FLSA has rules prohibiting an employer from firing or retaliating against an employee for bringing a claim under the FLSA. The FLSA attorneys at Lear Werts LLP recommend that you contact an attorney if you think that your employer has retaliated against you for asserting your rights to proper overtime compensation. Lear Werts LLP has represented salaried workers from across the country in their claims for wrongfully denied overtime pay. Every case is different, and there are no guarantees of how much can be recovered in an accountant overtime lawsuit or any other misclassification case under the FLSA. To find out if you have a case, contact Todd Werts or Brad Lear at 1-573-875-1991, or send them an email through this link, to arrange a free consultation and find out if your job is one that allows an employer to pay a salary without overtime, or whether you have a unpaid wages claim.